Use the pencil icon to compose a new message. Select the child(ren) who should receive the message and click "Next." 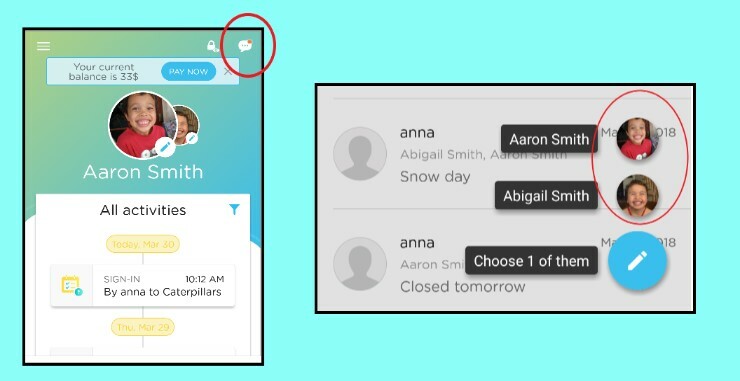 Parents can send a reply or a new message using their parent app. 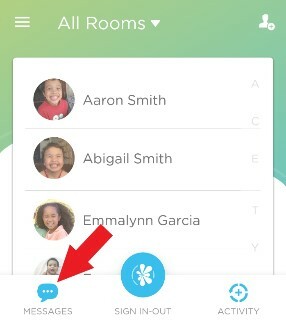 Parents will click on the message window at the top right of their app (screenshot below). They can use the pencil icon to send a new message. If the parent has multiple children, they will select the child the message is about (bottom right in screenshot below). This message will then be sent to the app of the teacher(s) assigned to that student's default room. You can also learn how to send urgent SMS (text) alerts.